Lovely Victoria, BC really sparkles! If you haven't visited Victoria, British Columbia yet, I think it's well worth it. It's not a big place but it's packed with charm and beauty. 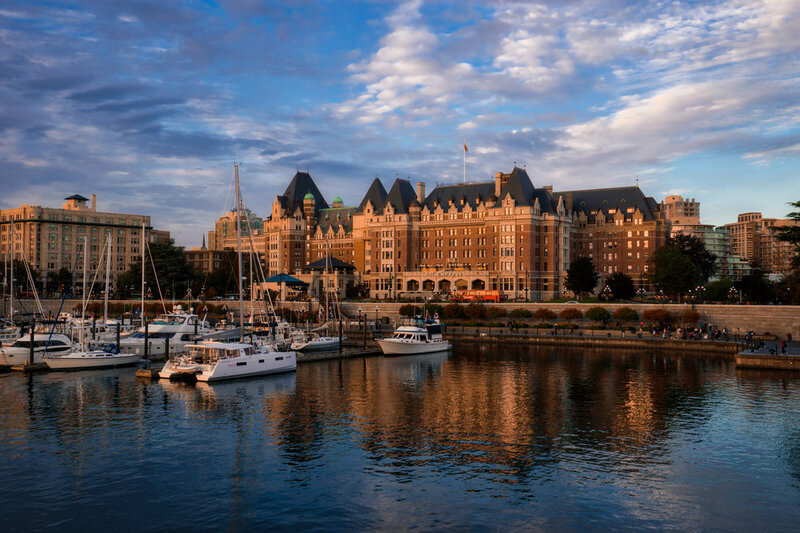 The Empress Hotel is the centerpiece of the beautiful harbor and I got out to shoot it during sunset one evening. I had some lovely clouds and with the harbor in front of it, it's hard to take a bad shot!